What are you interested in seeing from this Meetup group? 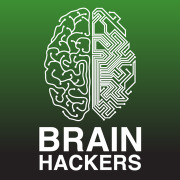 This is a group for anyone interested in exploring the interface between the brain and modern computing. Interested in making apps that interface with consumer EEG devices like Emotiv's EPOC, Neurosky's Mindwave and InteraXon's Muse? What about neurostimulation via transcranial direct current stimulation (tDCS) or transcranial magnetic stimulation (TMS)? Or are you just curious as to what this stuff is all about? It's time to have a group to bring all of us together who are interested in such things. Meet fellow hackers, find out what other people are working on, and find partners for your projects!